Dr. Raquel Vitorino is a Specialist Obstetrician and Gynaecologist with a special interest in Infertility Medicine. She has over 13 years of experience in the field of Obstetrics and Gynaecology and 10 years in infertility management. Dr. Raquel has attended many international courses, conferences and workshops. She likes to keep herself updated in her chosen field by continually attending courses, conferences and workshops. 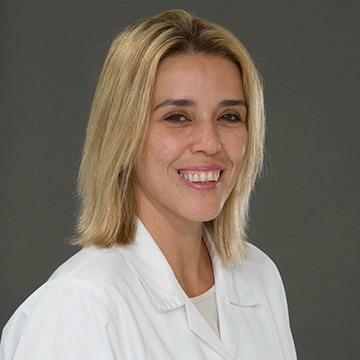 Dr. Raquel is a Member of FEBRASGO (Brazilian Federation of Obstetrics and Gynaecology), member of Obstetrics and Gynaecology Society of Rio de Janeiro (SGORJ) and member of Brazilian Society of Assisted Reproduction (SBRA). She has special interest and expertise in high risk pregnancy and labour management, preterm deliveries, infertility management and general gynaecology. She has experience in managing normal labour, preterm deliveries, vaginal birth after caesarean and previous caesarean deliveries. She provides complete antenatal care for women in both low and high-risk pregnancy, screening and low complexity treatment for infertility couple and care for women with general gynaecological problems. Dr. Raquel speaks Portuguese and English.